Twenty years is a long time in popular music, an ever-shifting sea of trends rarely stabilising long enough to allow an act both critical adulation and commercial longevity in the same deal. 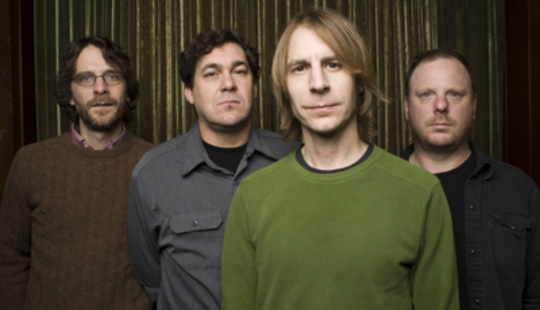 One act that has managed to balance the two fairly successfully for two decades is Mudhoney: father figures of the grunge movement that would produce, among others, Nirvana, and an act whose influence extends beyond the confines of rock ‘n’ roll sub-genres. Mudhoney formed in the Seattle suburbs in 1988, before plaid became a uniform for disaffected youths the world over. Naming the band after a film by Russ Meyers, guitarists Steve Turner and (vocalist) Mark Arm recruited Dan Peters on drums – he would join Nirvana temporarily to record ‘Sliver’ – and Matt Lukin, formerly of The Melvins, on bass to record their debut EP for local label Sub Pop, Superfuzz Bigmuff, expanded with a selection of early singles into a long-play edition two years later. It contained the single ‘Touch Me I’m Sick’, arguably still their most famous song. 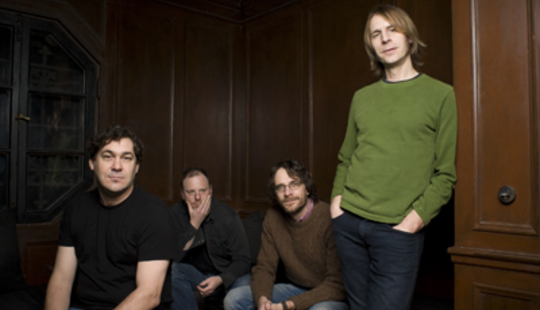 In 2001 Lukin left Mudhoney, replaced by Guy Maddison; between Superfuzz and Lukin’s departure the quartet had released six albums, including the singles-boosted EP, three of which – Piece Of Cake, My Brother The Cow and Tomorrow Hit Today – were released via major label Reprise. In 2002 the band’s first LP for Sub Pop in eleven years, Since We’ve Become Translucent, was released, followed by Under A Billion Suns in 2006 and, out this month, their eighth studio album proper, The Lucky Ones. Their latest coincides with a special anniversary (‘deluxe’) edition of Superfuzz, covering two discs. Which brings us, roughly, to right now: DiS is on the phone to Steve Turner at his home in Portland, Oregon, asking if it really feels like 20 years since all this began. Does it really feel like 20 years since Superfuzz? Oh, it definitely does! I’m really old now. Has the new deluxe edition of the record allowed you to get a new sense of perspective on it? A little, but we did the best-of double-CD set a few years ago (March To Fuzz, released in 2000 – Ed), and we looked back then. But sure, 20 years is a long time, and listening to Superfuzz now I hear a really young, and really hyperactive rock band. I don’t think we quite sound like that now. I don’t know, The Lucky Ones certainly has a great deal of energy to it. I understand it was recorded in only a few days? Uh-hu, yeah. The last couple of records were done with different people, and we’d have three or four meetings where we’d look over a batch of songs with one producer, on one weekend, and then we’d do the same with someone else the next weekend. So it was rather more drawn-out then, and we had more things going on. This one was way more stripped down, with just the four of us. In that respect it’s a lot like the early stuff. We had help recording it, of course – I guess Tucker (Martine, producer – Ed) is a co-producer on it. Was it an intention of the band’s to record in only a few days, or did The Lucky Ones come together like this as a happy accident? Exactly, that’s what it was – we got it done way faster than we thought we would. We thought we’d have to write a few more songs and go back in, but we bashed out those songs so quickly it felt like a complete piece to us, y’know. So we decided we were done, and we’re really happy with it! It seems to be spoken about amongst the press as, not a ‘return to form’ given the quality of your albums, but a return to the energetic, abrasive output of the band’s first few records. Yeah, sure. It was definitely more by the skin of our teeth than the last few albums – we weren’t rehearsed at all! We had this vague idea of how the songs went, but that was it. We know what we’re after generally, but this one was different because Mark didn’t play guitar. Any additional work for you, then, to carry all the guitar parts on the record? Well, you know, there aren’t all that many overdubs on the record; it’s pretty much exactly the same as we arranged the songs in the studio. We tried to make it simple – one guitar, one bass, one drummer and one singer. Your sort of ‘classic’ live set-up. It was very much recorded as live, yeah. How do you find taking that studio energy onto the stage? You’ll be playing here soon, of course. Oh, we can deliver the goods still. I think we’re playing really well right now, and because of the new record Mark’s not playing any guitar for about half the set. That gives our set right now a different energy to what we had before, and I think we’re holding it pretty well! Can you envisage any end to your touring days? Well, we don’t really do all that much touring at this stage – people have jobs, and families, and other commitments – so when we do it’s sort of like our weird vacation time. We totally enjoy it, because it’s not something we do often, and it’s not really a job for us. It’s this cool thing that we get to do, and we’re really lucky that there are people who want to fly us to different parts of the world to do it. I’m guessing that the level of comfort you enjoy now, while on the road, is a little better than the Superfuzz days? (Laughs) A little, but we’re travelling in a van! We get better hotels, as we’re not sleeping in any squats anymore, like we did on our first tour. Just going back to those days: back then, you surely had no idea that Superfuzz would be revered as a classic album, a record you’d be asked to play in its entirety for ATP? Sure. We’re total record geeks, so we knew it was a good record, and cool, and this group of likeminded people would think it was cool too – like on a small level, like someone saying they loved the third Dead Kennedys single. Y’know, on that level of ‘classic’. But it has truly crossed over. I can’t think of a music magazine today that wouldn’t recognise you as this hugely important act, and that record as being a hugely influential release. Y’know, I don’t actually see very many bands who are obviously influenced by us, nowadays. I hear people tell us that and stuff, and I have seen bands who dig what we do; I’ve also seen bands that I can identify as having the same influences that we have. The first time I heard Monster Magnet – their first single, before they got into that arena thing – I thought that, if they hadn’t heard us, we’d heard the exact same records. But there aren’t so many bands that are completely influenced by us. What is of significance is when we get lumped into the whole Seattle grunge thing. I mean, how many Nirvana rip-offs have you heard? A million and one, I’m sure, which is why I’d like to know what you made of bands like Nickelback sort of stealing grunge away, co-opting it, and turning it into something… ergh. (Laughs) Well, y’know, we don’t want to take any of the blame for Nickelback. You can’t pin that on us! They just kind of proved that there are a lot of opportunists in rock and roll, as there always have been. Sometimes that crap opportunism can create great rock and roll, too. But their success didn’t affect us all that much – they were taking Eddie Vedder’s voice, and using it in really, really, turgidly bad music. So if I was Eddie Vedder I’d be really offended! But Nickelback could be a way on for kids, kids who a few years later get into you, and begin coming to your shows. Do you see many young faces at your shows nowadays? It is different in different parts of the world, but in the UK in the late ‘90s we played to a lot of Cobain fan types, in Nirvana shirts and stuff. That was fine – they came to hear us because for them Nirvana was their way in. Who knows where they’re at now, but we had plenty of that. In America it’s a real mix. We’ll find out soon enough as we’re touring the States for the first time in a while (The band are on tour right now, see MySpace for details – Ed). Our people are old, though, y’know! I don’t get out to shows all that much; people in their 40s just don’t! There are other things to spend that ticket money on when you’re that old. That’s right. So it’s a mixed thing. We play mainly over-21s places in the States, really, but we’ll see what’s what. We’re playing Florida on this tour, where we’ve not played for ten years. You’ve one date in the UK booked, in July in London. Does that mean you’ll be back later in the year and play more shows elsewhere in the country? Maybe, we’re not sure. With our schedules we really can’t tour very much. But we’re doing that show in London, and a festival in Norway – that’s pretty much our European tour right now. But the last couple of years we’ve been playing Europe a lot and sort of ignoring the States, so this year we’re concentrating on playing at home. The Lucky Ones is out now on Sub Pop, along with the anniversary edition of Superfuzz Bigmuff. 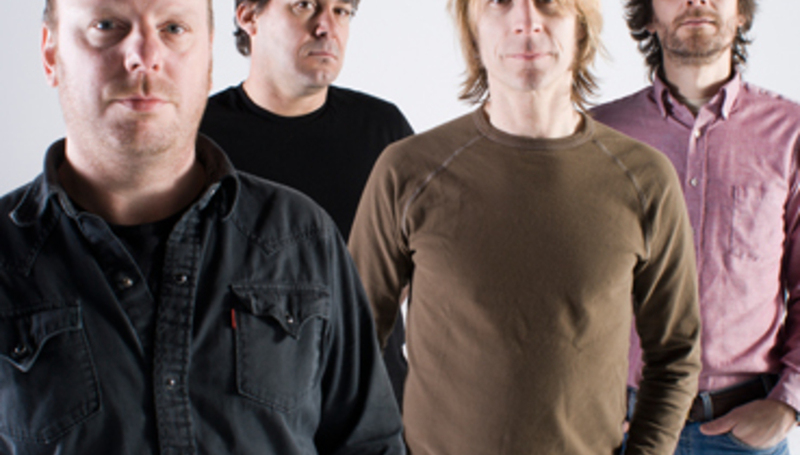 Mudhoney play the Forum, London, on July 31. Find them on MySpace here.